Affiliation: School of Architecture & Interior Design, KattanKulathur Campus, SRM Institute of Science and Technology (formerly known as SRM University). B. Arch. Architecture Madras University, 1981. Architectural Design Pedagogy, Architectural Design Education and its impact on practice. Dean and Head. Salem School of Architecture, Vinayaka Missions University. Salem (August 2006 – August 2010), Visiting Professor. Excel College of Architecture and Planning (October 2010 – till date), Visiting Professor. School of Architecture & Interior Design, SRM Institute of Science and Technology (formerly known as SRM University), Kattakulathur, TN, India (May 2014 – till date). Principal Architect - Viapuri Architects, Salem. (1984 - till date). Affiliation: College of Pharmacy, SRM Institute of Science and Technology (formerly known as SRM University), Kattankulathur, Kancheepuram – 603 203. Ph.D (Pursuing) Sri Ramachandra University,Chennai,Tamilnadu in 2013. “Prevalance of Duchenne Muscular Dystrophy: A Case Report”, International Journal of Research in Pharmacy and Chemistry, 2012, 2(1), 109-112. “Neuropharmacological Screening of Aerial Parts of Passiflora incarnata Linn. (Passifloraceae)”, Archives of Applied Science Research, 2009, 1(2), 254-262. "Investigation in to the anti diabetic activity of stem of murraya koenigii”, International Journal of Research in Pharmacology and Pharmacotherapeutics, 2012, 1(2), 89-92. “Drug Delivery by Exploiting Mucoadhesive Release System: Prospects anperspectives” Journal of Pharmacy Research, 2012, 5(12). “ Antidiabetic and Hypolipidaemic activity of Ceiba perntandra, Amaranthus viridis and their combination on Dexamethasone induced diabetic swiss albino rats”, International Journal of Pharmacy and Pharmaceutical Sciences, 2014, 6(4), 242-46. “Effect of methanolic extract of canscora decussata on haloperidol – induced motor deficits in albino mice”. International Journal of Pharmaceutical Review and Research,2015,35(1),7-11. Presented a paper and Awarded First prize in the “Free Paper Session F” of the 3rd SRU-CITI International Conference on “Ethics and Responsible Conduct of Research :Basicd and Beyond”,Organised by SRU & CITI, At SRU, Porur,Chennai on 11&12,November,2014. Evaluation of combined effect Of medicinal plants in treating Alzhimer’s disease using Albino rats and Zebra fish models. Assistant Professor at College of Pharmacy, Bharat Institute of Technology, Ibrahimpatnam, Rangareddy Dt., Telangana during the period June 2011 to April 2014. 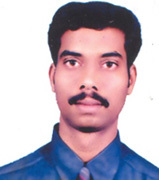 Lecturer at Seven Hills College of Pharmacy,Tirupathi, Andhra Pradesh during the Period My 2010 to June 2011. Served as Admin Incharge and took up the responsibilities in maintaining the administration at the college level at College of Pharmacy, Bharat Institute of Technology, Ibrahimpatnam, Telangana. As a Member of the Organising Committee in 1 Day seminar on “Advances in Pharmaceutrical Technology”,Organised by SRM Institute of Science and Technology (formerly known as SRM University) on 11th February,2016. SRU, CITI-USA, AIIMS-New Delhi & IPC International Workshop on Pharmacovigilance, Organised by Dept. of Pharmacology, SRU and CITI, University of Miami,USA ,at SRU, Porur, Chennai on 27th October,2015. Attended the 1 day Pre-conference Tutorial on Chemometric Analysis Made Easy With The Unscrambler X Conduced At ICOPIC -2015,at SRM Institute of Science and Technology (formerly known as SRM University) on 9th February,2015. As a member of Organising Committee in the International Conference on Perspectives in Chemometrics “ICOPIC-2015”,Organised by SRM Institute of Science and Technology (formerly known as SRM University), on 10 & 12,February,2015. As a member of Orginising Committee in the National Conference on “ Drug,Discovery and Devolopment -3 D’s in Pharmacy” Organised by SRM Institute of Science and Technology (formerly known as SRM University), Kattankulathur on 19 &20, September,2014. Two Days workshop on “Hyphenated Techniques – LC-MS and GC-MS”, Organised by Bharat Institute of Technology And Chromatographic Society of India, Hyderabad on March 15& 16 March,2013. 4th Annual Indo-American Pharmaceutical Regulatory Symposium,Conducted by JNTUH,Hyderabad on October 18,19 & 20,2012. Two-day national Conference on “Reforms and Innovations in Pharmacy Education Towards Global Standards”,conducted by APTI-AP State Branch,APPTT at Centre for Pharmaceutical Sciences,IST,JNTU,Hyderabad on August 17-18,2012. One day national Conference on Emerging Trends & Carrer Oppurtunities in Pharmacy held at Seven Hills College of Pharmacy, Tirupathi on March 28, 2011. “National Seminar on Emerging Trends in Molecular Modeling & drug Design” conducted by SRM College of Pharmacy, SRM Institute of Science and Technology (formerly known as SRM University), Kattankulathur on January 23, 2010. 2nd IAPST Annual National Convention held at College of Pharmacy, Madras Medical College, Chennai, July 18, 2009. One day Orientation Programme on Employability Skills held at SRM College of Pharmacy, SRM Institute of Science and Technology (formerly known as SRM University), Kattankulathur on April 18, 2009. Current Trends in Drug Discovery & Development conducted by SRM College of Pharmacy, SRM Institute of Science and Technology (formerly known as SRM University), Kattankulathur on August 23, 2008. Participated in the “57th Indian Pharmaceutical Congress” held at Hyderabad during December 2005. Tamilarasan P and Jayaprgash J, “Disintegration Of The ‘Self’ In Bharati Mukherjee’s Wife” Journal Of English Language And Literature (UCG Approved Journal) Volume 5, Issue 1,PP 225-229, 2018. Presented a Paper on Immigrant’s Quest for identity in Bharati Mukherjee’s Jasmine in International conference on Contextualizing Cultural Heritage in Literatures at Government Arts College, Salem in March 2015. Presented a Paper on Teaching English through Technology at Tertiary Level in National conference on Testing and Evaluation of Language skills at Hindustan University Chennai in January 2013. Presented a paper on The Influence of MNCs on English Language Developmentin National Level Conference on English Language and Literature: Across Cultures at St. John’s College Palayamkottai in April 2012. Presented a paper on Language is a Tool To Power and Influencein 6th International and 42nd annual ELTAI Conference on Teacher Development at VIT University in June 2011. Presented a paper on The female Quest for cultural Identities in Paule Marshall’s Praise Song the Widow at Annamalai University UGC National Seminar on New English Literature in March 2011. Manisha J, S Mariya, G Sharmila, C Muthukumaran, G Baskar, K Tamilarasan. Fabrication of a Chitosan-Coated Magnetic Nano biocatalyst for Starch Hydrolysis. Chemical Engineering and Technology. 38, 1444-1451, 2015. (IF-1.5). Sasidharan S, G Sharmila, C Muthukumaran, K Tamilarasan, M Gopinath, Statistical optimization of critical medium components for biosurfactant production by Bacillus subtilis. Journal of Bioscience and Biotechnology. 4. 123-129, 2015. Manisha J, S Mariya, P Radha, S Kiruthika, C Muthukumaran, K Tamilarasan. Synthesis, characterization and kinetic analysis of chitosan-coated magnetic nanobiocatalyst and its application on glucose oleate ester synthesis. Journal of Molecular Catalysis B: Enzymatic. 128, 1-9, 2016. (IF-2.62). Satheeshkumar S, G Sharmila, C Muthukumaran, K Tamilarasan, M Gopinath. Statistical optimization of critical medium components for biosurfactant production by Bacillus subtilis. Journal of BioScience and Biotechnology. 4, 123-129, 2015. Tamilarasan K, C Muthukumaran, M Dharmendira Kuma, Application of responds surface methodology to optimization of amylase production by Aspergillus oryzae MTCC 1847. African Journal of Biotechnology. 11, 4241-4247, 2012. Tamilarasan K, M Dharmendira Kumar, Optimization of medium components and operating conditions for the production of solvent-tolerant lipase by Bacillus sphaericus MTCC 7542. African Journal of Biotechnology. 10, 15051-15057, 2011. Kishan G, K Thirumalai Muthukumaresan, P Gopalakannan, C Muthukumaran, M Dharmendira Kumar, K Tamilarasan. Statistical optimization of critical medium components for lipase production from Yarrowia lipolytica (MTCC 35), Journal of Genetic Engineering and Biotechnology. 11, 111-116, 2013. Saranya R, K Tamilarasan, N Peatciyammal, L Rajamaniccam, M Dharmendira Kumar. Statistical Optimization of Lipase Production from Bacillus spp by Response Surface Methodology. Research Journal of Engineering and Technology. 1, 31-35, 2011. Yamunarani SR, M Dinesh kumar, B Balachander, K Tamilarasan, C Muthukumaran. Optimization of Amylase Production from Aspergillus oryzae MTCC 1847 by submerged fermentation. Research Journal of Engineering and Technology. 1, 86-88, 2010. Tamilarasan K, S Periyar selvam, G Baskar. Integration of lignin removal from black liquor and Bio transformation process. Bioremediation: Applications for Environmental Protection and Management. Springer Nature Singapore Pvt Ltd. 2018. Vigneshraj G, R Srinivas, S Mukund, M Rajesh, K Tamilarasan. Sequential extraction and characterization of organosolv lignin from Bambusa bambos (Under review). Namrata K, V Soumya, P Pranav, S Nirmal Kumar, K Tamilarasan. Fractionation and physicochemical characterization of soda lignin from Bambusa bambos. (Under review). Assistant Professor, Department of Chemical Engineering, SRM Institute of Science and Technology, Kattankulathur, Dec 2012-Dec 2017. 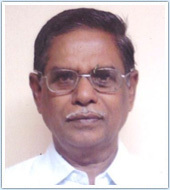 Lecturer, Department of Biotechnology, Vel High Tech Engineering College, Chennai, 2006-2007. Race and Gender Consciousness in Paule Marshall's "Brown girl Brownstone"
Affiliation: Department of Commerce, Faculty of Science &Humanities, SRM Institute of Science and Technology (formerly known as SRM University) Kattankulathur. Human Resource Management, Finance and Marketing. International Journal of Research In Engineering, It And Social Sciences (IJREISS) - Are We Nodding For The Forensic Accounting? – An Indian Context – Oct - 2018 – ISSN – 2250-0588. GST on MSME: Its Impact. – 2018 – ISBN: 978-93-87756-15-1. Rural women empowerment through micro entrepreneurship - ISBN.No.13:9788182092198. "Development entrepreneurship among women in unorganized sector" in the UGC Sponsored National seminar held at MOP Vaishnav College for women, Chennai in 2004. Block Chain Technology: The Future Of Tourism. Over The Counter Pharma Products: A Study on the Behaviour of Consumers with Special Reference to Chennai. Oscillation of third order half-linear neutral delay differential equations, Inter.J.Pure.Apll.math., 77 (2012), 359-368. Oscillation of third order mixed type nonlinear neutral differential equations, J.Modern Math.Frontier.,1 (2012), 21-25. New oscillation criteria for forced super linear neutral type differential equations, Malaya J. Math.,1 (2012), 67-72. Oscillatory behavior of third order nonlinear neutral diff.eqns, Inter.J..Pure.Appl.Math., 94 (2014),55-63. Affiliation: Department Of Commerce, Faculty Of Science And Humanities, SRM Institute of Science and Technology (formerly known as SRM University), Kattankulathur. International Journal For Research and Development in Technology, "An Empirical analysis on societical changes due to women empowerment in shgs with special reference to Nilgiris district-Tamil nadu", Dec 2015, 2349-3585 , Impact Factor:- 3.82.
International Journal For Research and Development in Technology, “An impact on electronic-recruitment and its perception towards job portal function through search engines among job seekers using knime data mining tool, Jan 2016, 2349-3585.
International journal of advanced research in computer science, “An empirical study on effectiveness of cyber bullying prevention strategies on students’ perspectives” volume 7, no. 3, may-June 2016 ISSN 0976-5697.
Business Horizons., “Prerequisites on Psychological Well-Being and Stress Reduction Techniques among Women Personnel’s occupied under Retail Shopping Malls in Metro City Chennai,” vol 2(1), pp. 16-18, 2016. Emperor international journal of finance and management research, “ Physical and Psychological Stress among Women Employees under Retail Shopping Malls in Direction towards Coping Strategies & their Satisfaction”, vol: 4 ISSN:2395 – 5929. “Societical changes due to women empowerment in SHGs in Nilgiris district” in Bharathidhasan University – Thiruchirappalli on 23rd and 24th February 2015. “Gender Discrimination in entrepreneurship”- A conceptual framework in Thirunelveli district on 23rd February 2015. “A Study of E-recruitment technology adoption in India” – Saidapet Annai veilankanni’s college for women on February 26th 2015. “Employee retention – A critical HR issues in Indian scenario” in Madras University on 26th February 2015. “Study on college students perception towards E-recruitment – an empirical analysis” in SRM University on Research day 27th February 2015. “A Realistic study on Astonishing risk factors which induces Physical and Psychological stress consequences in Chennai flood disaster 2015” - Research day SRM University. “Entrepreneurial orientation –The role of parenting and development under risk taking perception”, International conference on business research- entrepreneurship- 31st August 2016, SRM University. “Application of statistical tools by using SPSS” in vidyasagar women‘s college-chengalpet on January 31st 2015. “Innovation’s in business & new venture creation” in SRM University – Kattankulathur on January 29th 2015. “Emerging trends in business research” National workshop in Bharathidhasan University- Thiruchirapalli April 2015. Research methodology in social science in School of Economics, Madurai Kamaraj University on 6th – 15th may 2015. Time series econometrics using E- views, Department of Economics- 20th October 2015. Advanced statistical data analysis using SPSS & AMOS – Primax Foundation Bangalore Karnataka 26th march 2016. Three days national workshop on multivariate analysis using SPSS, AMOS and Spread sheet.5th to 7th July2016. Department of commerce, SRM University. Research methods and data analysis using SPSS [RMDA- 2016] – Perambalur 18th march 2016. Hands on experience in using SPSS and Amos – two day national workshop 11th& 12th August 2016, SRM University. Entrepreneurship development awareness workshop- Entrepreneurship development institute of India (EDII) 9th March 2017, Gujarat. Outstanding Performer Award by Repco Bank,Chennai for Higher Secondary Examination. RANK CDT (CADET) award in Annual Training Camp .5tn Girls Bn Ncc Coimbatore . first Place in Distric Level Drawing Competition Conducted by Nehru Yuva Kendra, Nilgiri District. Second Place in Distric Level Exhibition Conducted by Tamil Nadu Science Forum, Nilgiri District. A case study on “Dentin posts in the rehabilitation of Early Childhood caries inflicted primary tooth” in JIDAT, Journal of Indian Dental association Tamil Nadu. “Evaluation of flexural strength and tooth denture base bond strength of two commercially available acrylic denture base materials using three heat polymerization cycles- an in-vitro study” In European Journal of Dental Research. Prose (“Prosthetic Replacement of the Ocular Surface Ecosystem") – A review. Prosthodontic management of patients with Down syndrome. A study of the effectiveness of curriculum of three year Diploma Programme in Civil Engineering and its Implementation in Affiliated Polytechnics in Tamilnadu. "A critical review of the Focus and Implementation of three year Diploma Programme in Civil Engineering in Affiliated Polytechnics," in the Journal of Technical Education,V27-N2, April-June 2004- PP104-30. "Building Organizational Learning Capability in Affiliated Polytechnic", in the journal of Engineering Education, Vol.XVIII-N1, July-2004, PP24-30. "An Integrated Curriculum Model for three year Diploma Programme in Civil Engineering", in the Journal of Engineering Education, Vol. XVIII-N3, January 2005, PP19-28. ISTE working Professional Learning Project-One of the author for the Learning material on topic "Formwork Management in Construction" Published in 2007. Technical English Work Book, for B.E. / B.Tech. (I-st Year) Published by Sams Publications, 2011(one of the author) ISBN: 978-93-80425-13-3 Head Office : No.53/30, Uthira North Street, Kutalam-609 801. With R.A. Priyadarshan, K.S. Satyanarayanan and V. Thamilarasu (2017), “Study and behaviour of reinforced concrete specimens under various elevated temperatures”. International Journal of Civil Engineering and Technology (IJCIET), Volume 8(3), page. ISSN: 0976-6316. Shoring, Scaffolding and Form Work. As a Ph.D. Doctoral Committee Member : for 3 Candidates In Faculty of Civil Engineering , of SRM Institute of Science and Technology (formerly known as SRM University). Acted as Chie Superinendent of DOTE semester examinations continuously for 12 years from April 1994 to April 2006 and for 5 years from May 2007 to May 2012 of Anna University Examinations in Engineering Colleges. Obtained AICTE Grants under MODROBS scheme to a total amount of Rs 90 Lakhs in 3 years for the Department’s Civil, Mechanical, CSE and Automobile for Valliammai Polytecnic College. NSS Camp works Awards received for Best Unit and for Best Programmer for NSS in Valliammai Polytechnic College.